A file with the XCF file extension is a GIMP Image file. The abbreviation stands for eXperimental Computing Facility. Much like PSD files used in Adobe Photoshop, GIMP uses XCF files to store layers, transparency settings, paths, and other information associated with one or more photos that are a part of the same project. When the XCF file is opened in a compatible image editor, all those settings are accessible again so that you can edit the layers, images, etc. XCF files, if it's not obvious already, are best opened by GIMP, the very popular (and free) image editing tool. 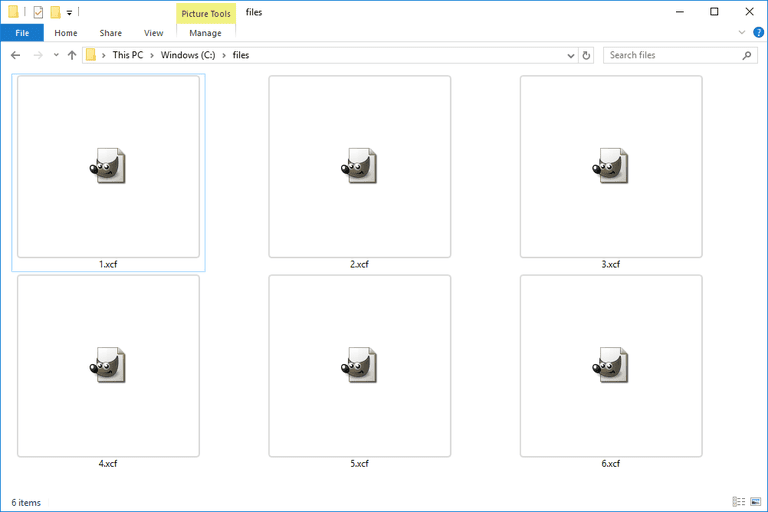 XCF files created from any version of GIMP can be opened with the latest version. IrfanView, XnView, Inkscape, Seashore, Paint.NET, CinePaint, digiKam, Krita, and several other image editors/viewers also work with XCF files. Are none of these programs opening your file? You may be confusing a CVX, XCU (OpenOffice.org Configuration), CXF, CFXR (Cocoa Sfxr), or XFDF file with an XCF file. Even though some of those files share a couple of the same letters in the file extension, none of them open with GIMP like XCF files do. If you find that an application on your PC does try to open the XCF file but it's the wrong application or if you would rather have another installed program open XCF files, see our How to Change the Default Program for a Specific File Extension guide for making that change in Windows. GIMP saves files to the XCF format by default, but you can use the Files > Export menu to save it to another format like JPG or PNG. You can also use a free image file converter like Zamzar to convert XCF to PDF, GIF, AI, TGA, WEBP, TIFF, and other similar file formats. ConvertImage.net is a similar website that supports the conversion of XCF to PSD.